Jeb is the main developer of Minecraft shared some curious news! The possibility to change the color of the beds will be added to Minecraft PE 1.1. You need to use colorful wool so that your bed gets a certain color. I'm not sure that the bed will have new characteristics, but different colors perfectly decorate your house, especially the bedrooms. But in any case, Mojang are already developing a new version of the game. If you read their Twitter accounts, the game will be called Minecraft Pocket Edition 1.1 (click). All assumptions are here and the article is constantly updated. There are 16 different colored beds. The beds have the same look as the standard except for the color. 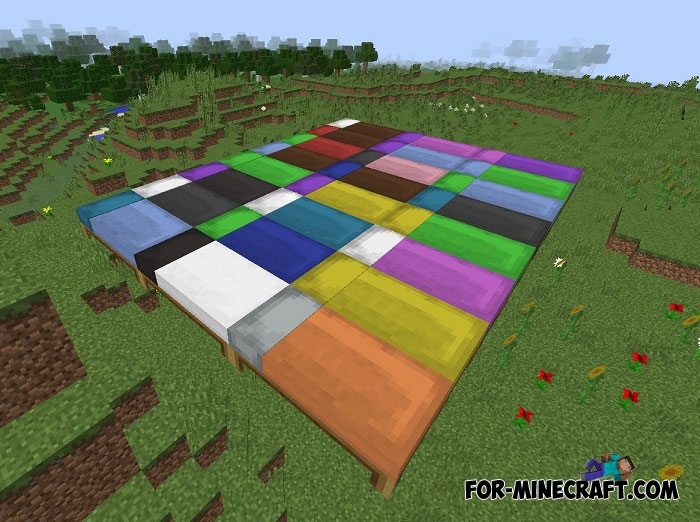 Different colored beds will be added to Minecraft 1.12 and MCPE 1.1.